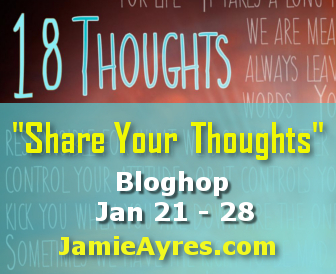 ← Will You Share Your Thoughts With Me??? 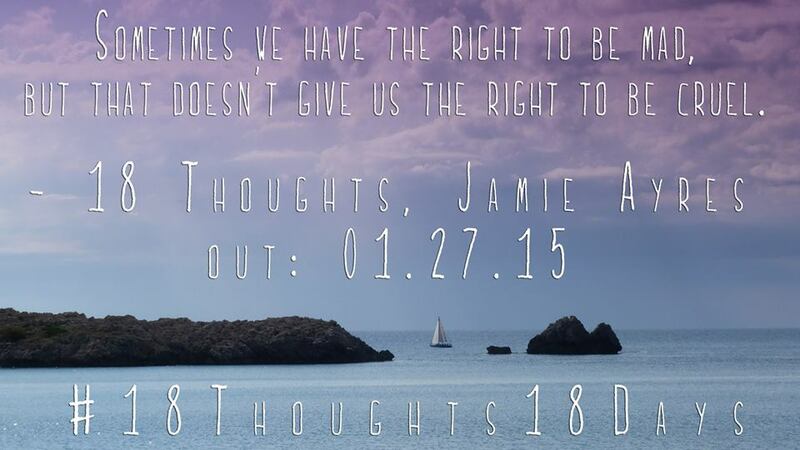 Jamie, I agree with you so much but unfortunately, society is not perfect. I have witnessed my own kids being bullied or their friends getting bullied and the only way it stopped was a wallop to the bully. I don’t condone it, but sometimes defending yourself is the only way to stop someone else getting the better of you. My novel touches on this subject, as well. War, people/countries should be able to work out their differences without violence, but we are a primal species, and there will be those who, for whatever reason, feel they can take whatever they want. I wish our words, our respect for one another would take precedence over violence, but unfortunately, there are those who have no kind words or respect for anyone. Sometimes, the alternative must prevail in order to have peace. It’s so sad, but true. I get what you’re saying, Jenny . . . you don’t want to be a doormat. So far, my girls have been able to stick with my advice without any punches thrown . . . kill ’em with kindness, and if the bully continues their behavior, go somewhere else. I hope it stays that way *fingers crossed* I’m sorry that’s not always the case. And the truth is, no matter whether the bully deserved to be walloped or not, if a student throws a punch at school, they’ll be sent to ALC (Alternative Learning School), which goes on their permanent record, so I don’t understand why parents are coaching their kids to beat someone up. I completely understand. Please don’t think I condone violent behavior. I don’t, but as a kid I had to defend myself a couple of times from kids who stole my glasses and broke them or knocked books out of my arms while walking home. Sometimes, there is just no alternative. I’m not sure if parents are teaching kids to fight, but rather teaching them to stand up for themselves. I’ve seen too many kids get hurt and I’ve read too many sad stories of teen suicide because of bullying. Maybe if we were taught to be a little more defensive, bullies wouldn’t exist in the numbers they do. It’s a fine line either way. All I know is that sometimes walking away or turning the other cheek doesn’t work. Very sad. Great post, btw. I’m very impressed at the level of discussion you were able to have with your students. One of my favourite things in the world is to be able to have an intelligent conversation with possibly-unpopular opinions without being judged. Thanks, Michael! I have a wonderful bunch, and I like to play devil’s advocate with them most of the time just to get the debate going. It’s quite fun! Congrats on your THIRD novel release. Very exciting and impressive. I’ll try to come up with a good thought and sign up after work. I love that idea of showing your students the resolutions of people in the past. Scary how we get more and more self-centered as time goes on. It makes me so sad when I hear people, not just parents, say it builds character for kids to just work it out or “that’s how they learn” without ever having taught them how to work things out. We need to give them the skills first. They definitely do need those skills! When I taught elementary school, I spent a good number of hours teaching them how to do just that. In middle school, it’s harder to find the time since I have 7 periods, 45 minutes each, so I find myself pulling students to eat lunch with me to help when I can. Very honorable, Jamie! We are all God’s children and should be treated with respect. What a great idea to teach your students how to resolve things. How wonderful a world this would be if we (really) tried seeing things outside our rose-colored glasses. Sometimes it’s a damn hard thing to do, and I think the key is humility. But most of us have too much pride to humble ourselves, including myself, and it’s something I work on daily. Thank God he give us new mercies every morning . . . if only we could do the same for each other. Unfortunately, I don’t think a lot of kids are being taught to respect one another. There are other ways of working out disagreements besides physical altercations. Yeah, and most of the problems are stemming from social media sites. That’s where the challenge is with this generation. I tried to sign up for your blog hop, but it said my name was already on the Linky list. I don’t see it on this list, though. LOL . . . this blog list is gonna be the death of me! I’ll look into it, and in the meantime, I’ll be sure to visit your blog! Seconded! They direction society has been going for a long time has me worried, and it doesn’t help that media and leaders have hopped off the moral bandwagon. If only we lived in a day and age where people considered others first, or at all. The media is definitely a HUGE part of this problem. I don’t understand why this society is so obsessed with not only following celebrities every move, but then mocking whatever they’re doing, too. Not great role models for our youth. This was such an interesting class assignment! There’s a big difference between standing up for your rights, and fighting for them. It’s great that you’re having these discussions with your students, and hopefully they’ll understand your reasoning. Great idea for a bloghop. I’m not sure if I’ll be able to participate, but I’ll definitely tune in. Thanks, Julie! It’s these type of discussions that they remember for years afterward . . . if only I could say the same for my grammar lessons! Congrats on the release! I definitely think we need to steer the young away from anger and violence as a solution to problems when you look at all the attacks and atrocities happening on a daily basis. Thanks, Nick!! The news is a very sad thing to watch. No place or person is immune. What an amazing discussion to have with your students. That is an interesting lesson. I also encounter parents who urge their children to fight. Yes, and this isn’t just ‘go stand up for yourself’ type of thing. It goes way beyond that . . . I’m convinced if every parent just read a book to their child every day, we’d have hardly any problems at all with getting along. So many great life lessons in books!! I love this thought! We all get angry, but resorting to cruelty doesn’t get to the root of our problems. Thinking things through together tends to produce far better results. What a great classroom exercise! Thank you! We don’t have to honor other people’s words, but we do need to honor that person as someone who has value. I tell my students that says way more about their character than the character of the other person. I do agree that it’s better to respect each other even when (especially when) we disagree, because I don’t think we can solve anything or make things better by saying “I’m right and you’re wrong” all the time. I do wish it was that easy, though, to simply accept that not everyone agrees with me, and to remind myself that just because I think something, that doesn’t make it objectively right. I think I’m getting better at it, and I’ve learned to recognize when I’m thinking that way so I can stop myself. Oi. If we all take a moment and think our opinion may be wrong, it could make things a lot better in most cases. Hahaha! Thanks for stopping by, Pat!